GLL and North City Family Fitness choose mr sauna Ltd again. 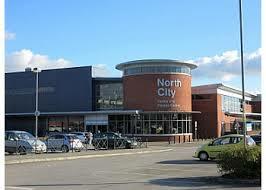 mr sauna Ltd are delighted to announce that GLL, the UK’s largest provider of public sector health & fitness facilities has chosen them again to complete a major refurbishment of their sauna facility at North City Family Fitness in Manchester. Gerard McCarthy of mr sauna Ltd says “As the UKs largest leisure provider, we are enormously flattered to be working once again with GLL, having also recently completed the installation of a new sauna at their facility in Bath”. The existing sauna has been their since the facility opened some twelve years ago, so is now showing its age, and in keeping with GLL’s philosophy of offering great value for money for its members and visitors, the work to be carried out in mid October will completely transform the sauna suite. New LED lighting also to be provided by mr sauna will also add to the general relaxing atmosphere within the spa and sauna suite.